The iPad 2: It's thinner, faster... and that's about it. 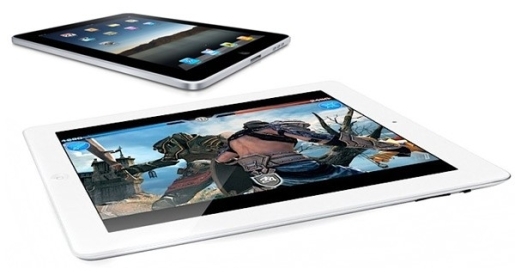 The expected announcement of the iPad 2 has been long-awaited. Since Apple started iPad 2 production at its factories, fans have been waiting patiently for the big reveal, and at a press conference in Cupertino, California, Steve Jobs officially unveiled the iPad 2. It’s exactly like the iPad, but slightly improved! Don’t rush out and get an iPad 2 just yet, Pee-wee Herman. As it turns out, there’s not a whole lot of difference between the iPad and the iPad 2, at least according to comparisons. Engadget has a full comparison between the iPad and the iPad 2, and the major difference appears to be the addition of a couple of cameras and a slightly thinner profile. Granted, the processor is faster and it may (or may not) have more RAM, but that alone isn’t enough to make it worthwhile to go out and buy a new iPad 2. I mean, while you’re tossing in upgrades, you couldn’t throw in an improved screen to go along with the gyroscope? At least, not while the iPad is $100 cheaper and essentially the same device. At least they kept the price point the same and retained the battery life in spite of the supposedly-increased processing power. That’s a positive in all this.